Over 26 years, our team has provided Chestermere with blinds and shutters with the highest level of customer services. 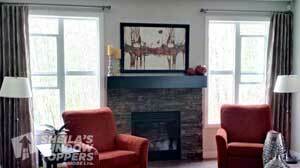 Sheila’s Window Toppers has even extended it’s team with providing dedicated resources to Chestermere homes. Choose from our large selection of affordable and quality shutters and blinds with our in-home consultations from a local Chestermere blinds representative! Find a wide variety of custom Window Shades, Curtains, Blinds, Shutters, Roller Shades and Custom Window Treatments. 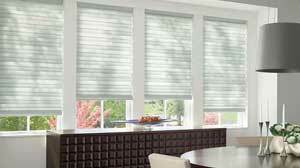 CHESTERMERE BLINDS – GREAT PRICES, GREAT QUALITY! Sheila’s Window Toppers provides the finishing touch for every new, renovated or existing home, providing the perfect balance of design, colour and function. Our expertise in custom curtains, drapery, roller shades, blinds and shutters have been regarded as some of the best in the industry for over 26 years. From Chestermere Hunter Douglas to other quality brands, we have blinds and shutters to fit every budget without compromising design, function and quality. Window treatments are a long term investment and provides privacy and protection from exterior light and sound and are an important design element to complete any home. All of our Chestermere Window Coverings can be motorized by Hunter Douglas PowerView, Somfy or other power systems for greater ease and functionality. Our Hunter Douglas showroom is located in Crowfoot Calgary and is open to view, sample and compare products to better understand how each blind and shutter can differ from brand to brand. Choose from a variety of quality shutters from wood shutters to polysatin shutters. Known for our expertise and professional configuration of difficult windows. Providing multiple brands to meet your budget, with the best shutter prices in the city! We visited their store and they were extremely helpful and patient with us as the selection of blinds can be quite overwhelming. Sheila came to our house to measure and quote for us and we could not be more happy with her helpfulness, and very glad we went with her suggestions which were a great match for our home. At installation Loren did a great job. We would recommend using this company to everyone based on our experience. I love my new blinds, and had a great experience with this company. The thought of picking out blinds was very overwhelming to me. I didn’t know anything about blinds but I feel I learnt so much. Souk came to my place before it was finished so that I could get my blinds put in as close to possession day as possible. He brought samples and pictures and helped pick colors that matched my place. The installation was quick and the blinds look great. I’ve had so many complements. When it comes to providing draperies and window treatments, we are the experts in Chestermere and Calgary with our collection of hundreds of drapery fabrics that will take your breath away. Custom drapery, custom window coverings and custom shutters are our specialty. 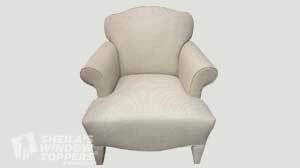 We create timeless styles with our custom drapery treatments adding beauty and elegance to complete your home design.